Save Thunderbird Email as Text for easy archiving! You are here: CoolUtils > Total Thunderbird Converter > Save Thunderbird Email as Text for easy archiving! While managing emails is very comfortable with the aim of Thunderbird, sometimes you may want to get Text copies of your emails on the hard drive. 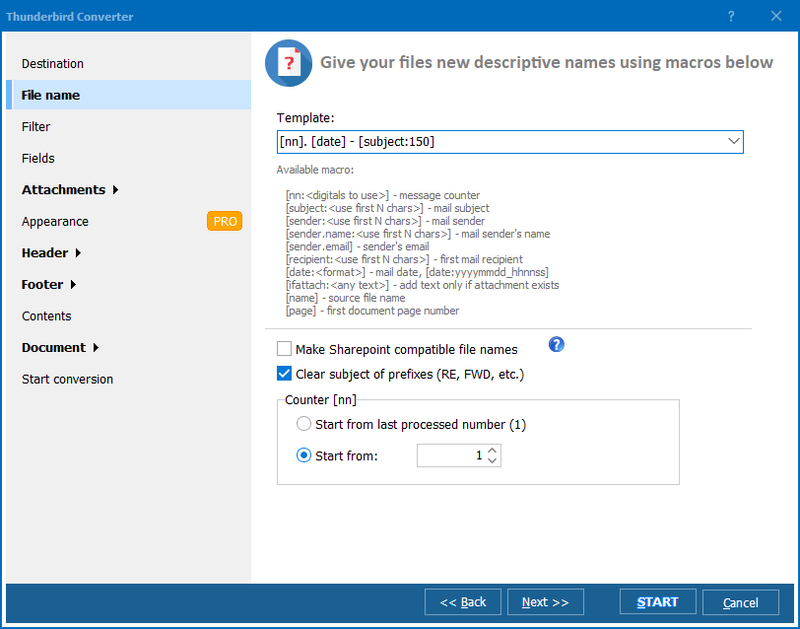 Total Thunderbird Converter from CoolUtils allows converting emails from different Thunderbird accounts and MBOX files. It will create TXT copies of the original Thunderbird emails within seconds. This is a huge help for busy people who want to clean up their mail client from old yet important messages by exporting them to text files, and need to do it fast. Apart from mail conversion it is possible to set additional options like renaming files or adding page counters. The app works very fast. You can get text copies of the entire mail storage in a matter of seconds. Setup destination, file name template, fields for conversion and press Start! There is also an Attachments tab in settings. It allows only converting attached emails and saving attached images in their native format to the folder. 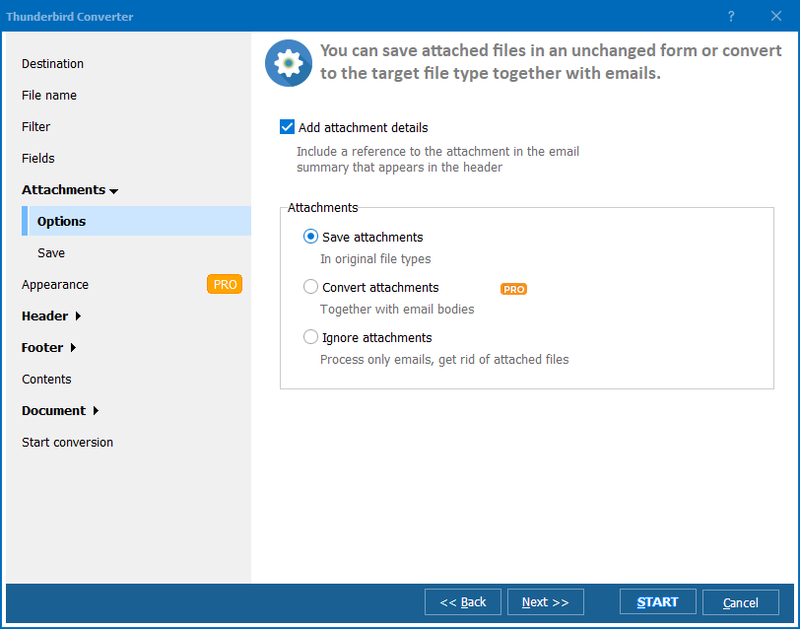 Using the Pro version of this program you will be able to convert Thunderbird email to text with attachments, no matter what type of files are attached to the original emails. There is a new useful option - setting file name template for attachments. Named in a specific manner, attachments will be easy to find and manage in computer memory. One more add-on is ability to convert Thunderbird email to text via command line. Just send a proper command to the program via command line and get TXT copies of original messages. The trial version of Total Thunderbird Converter has the full pack of features and is available for a month! Use it! 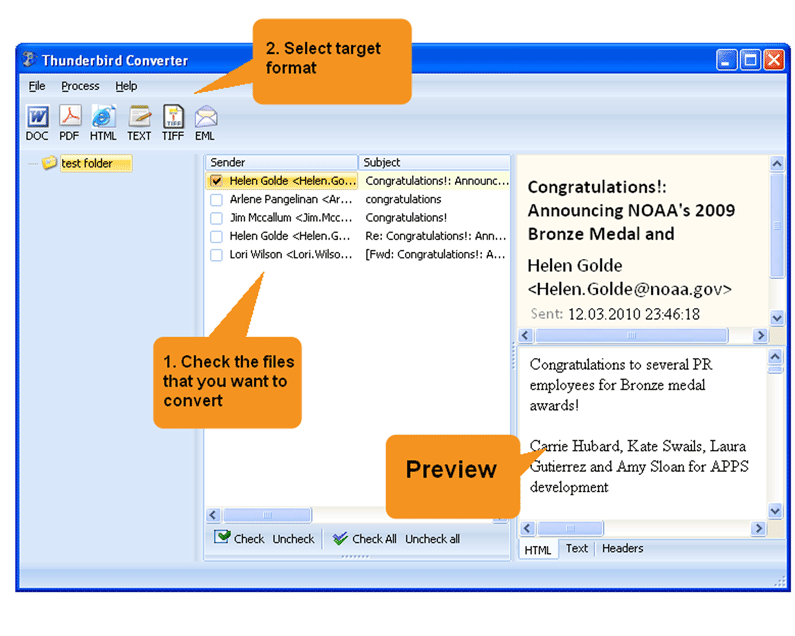 Get Sea Monkey Converter for an affordable price!